There are 450 million users on LinkedIn. If you’re looking for a new job or trying to get noticed, you need a way to stand out. In this article you’ll learn my #1 LinkedIn profile tip for job seekers (and anyone else who wants to make their LinkedIn grab the viewer’s attention)- How to quickly and easily get great LinkedIn recommendations. You need to get great recommendations written on your profile. There is no better way to stand out and impress viewers on LinkedIn. (I’ll explain why in a second). If you use my method it will be easy and should take less than 15 minutes total. It just takes a tiny bit more effort than most quick-fixes on LinkedIn. Which is why most people don’t do it, and why you’ll look great if you do. I think most people don’t do this because it’s intimidating if you’ve never done it. Or if you’re not sure how to ask friends and colleagues. So I’ll walk you through exactly what to do and I’ll reveal the exact word-for-word message you can send to get results. First, what are LinkedIn Recommendation? And why do we want recommendations instead of endorsements? 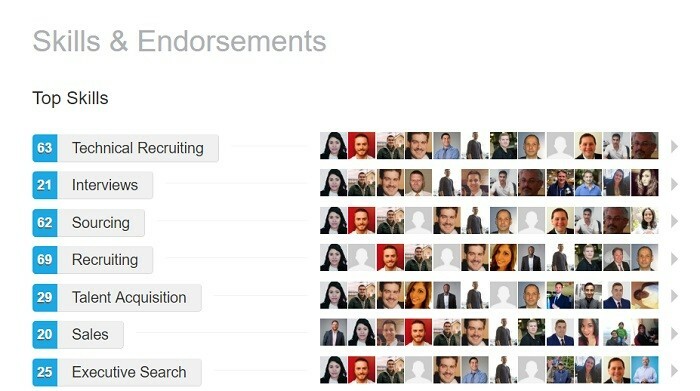 Endorsements are associated with the skills you list on LinkedIn. Someone can endorse you for a skill, and a tiny box with their photo appears next to it. When LinkedIn introduced this a few years ago, everyone loved it. It was great to have those boxes filled out. It gave you credibility. Unfortunately they’ve become somewhat meaningless. You can endorse someone for any skill, without even knowing the work they do. I get endorsed for “contract recruiting” all the time and I’ve never been a contract recruiter in my life. It’s just junk at this point. Recommendations are completely different. Recommendations are a note that someone took the time to write, not just a button they click. They’re written by people who know your work. Each recommendation will show up under a specific job, and in a “recommendations” section lower down on your profile. Which do you think is more impressive? Which one will get read (and not just skimmed). I can tell you that recruiters will stop and look if you have recommendations. It’s one of the few things that will stop someone from skimming and turn them into a reader. Now that you’re hopefully convinced, let’s talk about how you can get great recommendations for yourself in under 15 minutes. Write down a list of 10 people who know your work somewhat well. It can be previous bosses and managers. It can also be other colleagues you worked with, or even someone you trained, managed or supervised. If you’re a freelancer it can be a client. If you’re a recent graduate or entry level job seeker, you can use professors, classmates you worked with on a project, people from internships, or from groups/organizations you were a part of. Think for a bit. I know it’s not easy to come up with the names but sit down with a pen and try. You’ll be surprised what you come up with. Take that list and contact them through LinkedIn or email. 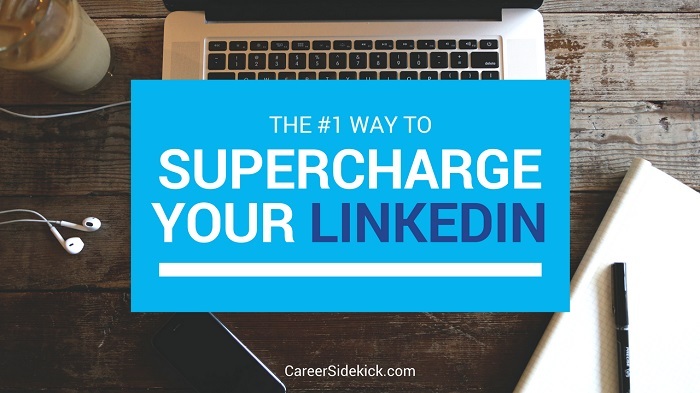 If you’re already connected on LinkedIn, that’s probably easiest. Even getting one or two recommendations on your LinkedIn profile will grab the reader’s attention and stop them from scrolling past. Which means recruiters will spend more time on your profile and will be more likely to get in touch. Or if you message them, they’ll be a lot more likely to respond. The only other snag you might run into: Not everyone knows how to leave a recommendation. If you want to see how it looks, check out the YouTube video I created about the subject. This link will start the video at the exact spot where I show it (3:08). So your job now is to go build your list of 10 people and get started. Coming up with the list and sending out messages should only take 10-15 minutes and you will have these recommendations on your profile forever. I have six recommendations on my profile and it’s the best thing I’ve ever done for myself on LinkedIn. Go try it now, and if you have a question leave a comment below.